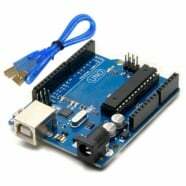 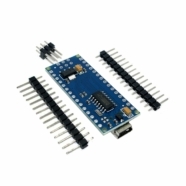 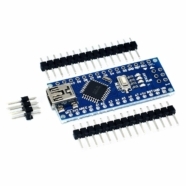 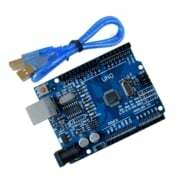 Arduino Nano is an Arduino board based on ATmega328 (Arduino Nano 3.x). It is functionally identical to the UNO, but smaller and has a breadboard-friendly footprint. 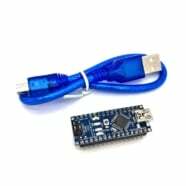 It works with a Mini-B USB cable instead of a DC power jack for the external power source. Header pins are unsoldered and require the user to solder if required.